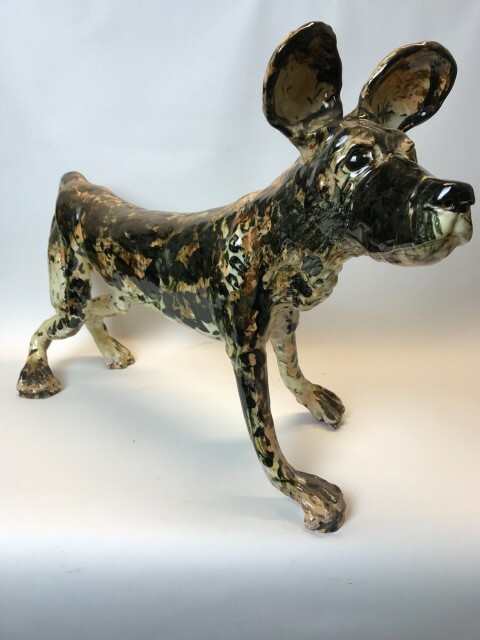 Willie was born in Wick in the far north of Scotland and, following a three year ceramics course at Chesterfield Art College, has pursued a successful career as a potter for over 25 years. He has now settled in Wrexham, North Wales. Over the years, a love of modeling clay has resulted in the evolution of hand built animal sculptures. These figures have a free flowing, spontaneous feel, which captures the creature's character and range from curious hares to a complete Noah's Ark. Willie Carter has had very successful exhibitions with us in 2017 and 2019. He will return again in 2021.